In the UK thousands are struggling with rising energy costs. After last winter’s record number of deaths from cold weather, pressure is mounting on the government to force energy companies to help the most vulnerable. An estimated 31,000 people died from the effects of cold weather last winter, many of them elderly people living in poorly insulated homes and faced with skyrocketing gas and electricity costs. People have seen their energy bills soar by 150 percent over the past ten years, and some now say they must make a choice between buying food or keeping their homes warm. “I’d sooner starve to death than freeze to death if it should come to that. 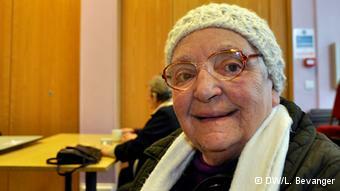 Thank God at the moment we’re not there yet,” 76 year old Cath Dixon told DW. Her flat in Longsight, one of Manchester’s poorer areas, is poorly insulated and very expensive to heat. But with energy prices rising seven times faster than the average household income, people like Cath Dixon are really starting to feel the strain. “If it keeps going up at the rate it is then we’re going to find ourselves struggling very, very hard indeed,” she said. UK energy prices are not above the EU average, but one in five homes are brick houses from the early 1900s which retain very little heat. Because of this, people living in these kinds of houses will quickly notice every increase in energy prices on their household budget. The latest price hike came last month, when most of the UK’s six largest energy providers turned up prices by 9 percent, taking the average family’s gas and electricity bill to a record €1,573 a year. Continue reading here…..
Like 76 year old Cath Dixon, a fifth of Brits have started wearing hats and scarves indoors to keep warm.